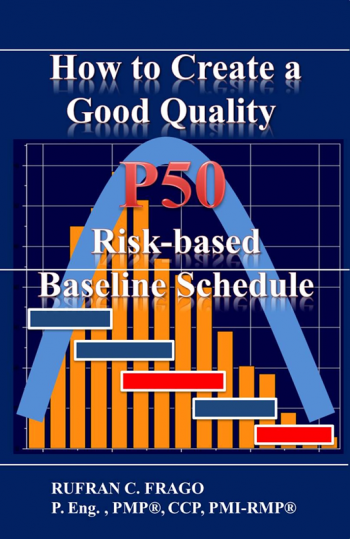 https://lnkd.in/gfnqr8s Announcing the publication of my second book "How to Create a Good Quality P50 Risk-based Baseline Schedule." It is available in Amazon.com in paperbacks and Kindle e-book edition. A bad schedule will result in budget overruns, and poor quality facilities, products/services. A poorly prepared schedule will not stay to expectation. This is the truth. It is not theoretical because it has been proven. It is a practical rule of thumb. Competing probabilities are bad for the project. There is a need to improve full control, attainable only through a fully integrated project portfolio. A high probability activity depending on low probability predecessors will almost certainly be delayed. The delay will have a cascade effect of perhaps delaying the next tasks. There is a big possibility of overall delay because of varying degree of probability among activities. Identifying the P50 of each activity and aligning them is one solution. Enhancing success is possible by creating a P50 Risk-based, sound, and achievable baseline schedule.